As a new shooter you may have a lot of questions with regard to SDRC itself and also what sort of firearm to buy but before all that you need to make sure that you are familiar with the rules and regulations of the club, SSAA and also State and National firearms laws. You can download all these on this site and also a shortened basic version to get you started. When red flags are flying, live firing is in progress. No person is to project any portion of their body beyond the firing line (marked with a red line) when the range is open. The Range Captain is in charge and is the only one who can open and close the range. The Range Captains decision is final. If you have your own firearm, you must be licenced to carry it and it must be removed from its case and the bolt (if applicable) open before it is carried to the mound (firing line). All rifles must be carried with the muzzle pointed upwards and must always be unloaded. Whilst on the firing line, firearms must be pointed down range at all times and should not be loaded until the Range Captain has given the commence fire command and you are ready to fire. Fingers should not be touching the trigger when loaded unless you are lined up on the target and ready to fire. If you have a misfire (cartridge fails to go off), malfunctions or stoppages of any kind you are to keep the firearm pointed down range and raise your hand, a Safety Officer will come to your assistance. DO NOT try to rectify the fault yourself. Shooting is a fun family sport, we have many families who shoot at the club. It is a sport where you don't have to be fit, fast or strong but you do need to have good concentration skills and if you don't, we can teach you. It teaches younger people responsibility and a drive to better themselves and it's one of the rare sports where males and females are equal and compete against each other. We have a number of Juniors that range from the ages of 12 to 17 and more recently most of the newer ones have been female. At SDRC we don't use the safety devises on the rifle because when in use the rifle is still loaded and then as far as we are concerned is not safe. Rifles are only loaded when you are ready to fire on the firing line, once cease fire is called you must unload your firearm. Once you are finished the firearm must be cleared before you can take it off the line and it must be taken off the line with the muzzle pointed up. This way there is no chance of any accidents. When hunting, shooters are also encouraged to unload rifles unless they are lined up on a target and not trust the safety devices on the rifle. Safety is paramount while shooting and all rules and regulations must be adhered to. Any breach of these WILL result in disciplinery action and possibly the club withdrawing club support or not accepting membership if you are found to be unsafe. All new shooters are assigned a Safety Officer who will stand behind you while you shoot your first four shoots or until such time as you are deemed to be safe. The main competitions shot at SDRC are Field Rifle & Scoped 3 Positional (defined in the Disciplines page), we alternate each week between the two competitions (every second week for Centrefire) and have trophy and medal shoots throughout the year where the top 3 in each grade (senior and junior) receive a medal. Trophy shoots are usually handicapped, however there are 3 shoots in the year which are given to outright winners in the senior and junior categories (Gleneagles Cup, New Years Cup and the Anniversary Trophy). 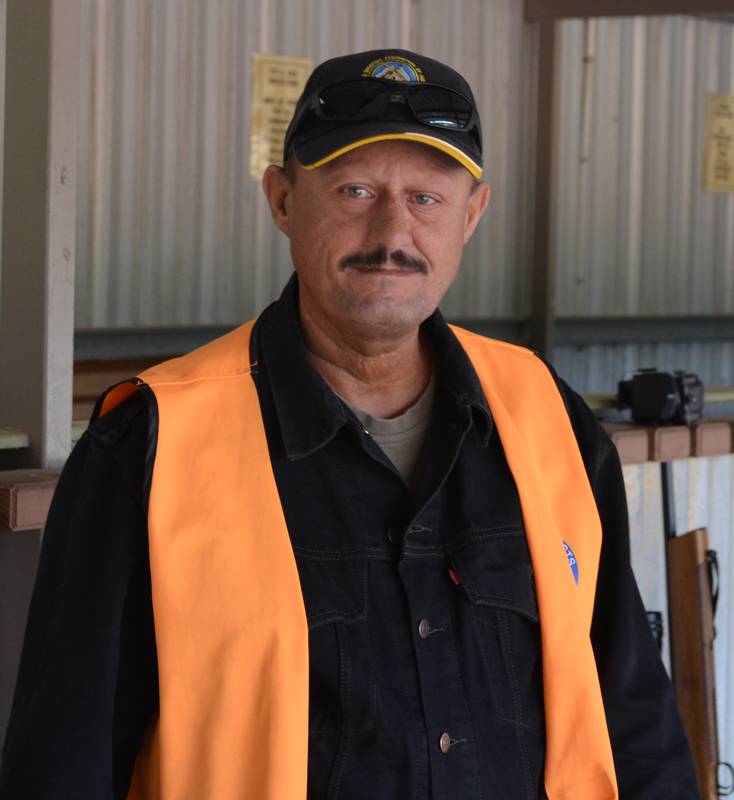 We also shoot Handgun matches on every other Sunday which include Mandar, Field Pistol and Revolver. In the afternoons following the Handgun matches we shoot a Single Action match which is a timed event and only Single Action firearms are used from the old west period. 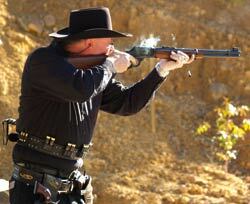 Shooters dress up in their favorite western gear and use aliases instead of their real names. Once you start shooting this event, you can choose your alias and register it so that no other Single Action shooter in Australia can use it. The definition of a Rimfire and Centrefire rifle is that on a Rimfire the firing pin strikes the edge (rim) of the cartridge and on a Centrefire the firing pin strikes the centre of the cartridge. The firing pin sets off the primer (a small explosive charge that ignites the gunpowder) when it strikes the cartridge, on a Rimfire the primer is located inside the cartridge and on a Centrefire it is a small disc that is inserted in the centre of the rear of the cartridge. Rimfire ammunition is not reloaded by shooters and usually bought from a local dealer or from the club, Centrefire ammunition is reloaded by shooters largely due to cost and accuracy. Some shooters download (Put in less powder than usual) their Centrefire ammunition so the rifle doesn't kick as much and at closer distances a lot of powder isn't needed so to keep costs down some use a lighter load. Centrefire rifles come in a variety of calibres (unit of measure indicating the interior, or bore, diameter of a gun barrel and the diameter of the gun's ammunition) and with that also comes a significant variety of velocity. Rimfire rifles only come in one calibre, the .22. All SSAA Rimfire Field Rifle & 3 Positional competitions only permit the use of a .22LR (Long Rifle), .22 Magnums (equipped with a larger charge than other cartridges of the same size) and Wildcat cartridges are not to be used. A wildcat cartridge, or wildcat, is a custom cartridge for which ammunition and firearms are not mass produced. These cartridges are often created in order to optimize a certain performance characteristic (such as the power, size or efficiency) of an existing commercial cartridge. Developing and using wildcat cartridges is more a hobby for serious shooting, hunting, gunsmithing and handloading enthusiasts, particularly in the United States. There are potentially endless amounts of different kinds of wildcat cartridges: one source of gunsmithing equipment has a library of over 6,000 different wildcat cartridges for which they produce equipment such as chamber reamers. There is a new Magnum Match for the Magnum cartridge, however, it is not shot at SDRC. As a beginner you will need to compete in 4 competitions before you are able to have your name put forward to the committee for membership approval. Once this is successful you will need to join SSAA, there is no approval needed to join SSAA in fact you can easily join them before you are approved for membership with SDRC. For insurance purposes and because SDRC is an affiliate of SSAA you must be a member of SSAA in order to be a member of SDRC and also to compete in Registered Tournaments (States, Nationals etc.). As soon as membership is sorted out you will need to organise your own firearm, this involves a bit of paperwork. First you will need to find the firearm you want then you need to apply for a firearms licence which involves a test and a 28 day cooling off period (You are welcome to use club firearms until this process is complete. In some cases arrangements can be made to borrow other members firearms, however, this is purely up to the owner). If you are applying for a club supported firearm then you must submit an application form to the committee. On approval, it is sent to SSAA (B & C class only) who will send an endorsed copy back which is then attached to the licence application and serviceability certificate of the firearm. There are costs involved and these do change periodically so it is best to speak to a Committee member or Firearms Branch for the current figures. This all sounds like a lot of work but it isn't as bad as you may think. A lot of people at the club have gone through it before and are always willing to help. 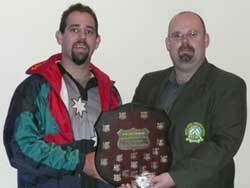 Membership for the club is $65 per year plus a one off joining fee of $25. The biggest challenge for a new shooter is what type of firearm to buy, the cheapest is not always the best way to go. One of the things that will be obvious is that you only get what you pay for. Some may say that we should not be putting $200 dollar rifles up against $1000 items. That is not the object. Each rifle below is assessed on what you get for your dollar and these are all rifles that one can walk into a gun shop and purchase. What the shooter must decide is what level of accuracy and quality he/she requires. Bare in mind that a rimfire, looked after properly, will probably last a lifetime for the average buyer. Therefore, buy the best rifle that you can afford and enjoy it for years to come. This is a nice rifle with several user-friendly features and is priced accordingly. The 77/22 shot well with most ammo and produced a couple of excellent groups with the CCI Standard Velocity. Power Point also shot well in this outfit. One of the reviewers did not like the ten-shot rotary magazine, which is standard on most Rugers, saying that it was fiddly to load. Certainly for spotlighting at night it would probably pay to have two or three of these loaded before starting. In fitting a scope to the rifle, we could not remove the rear sight on the barrel and therefore had difficulty in finding a scope with a small front housing to clear the metal. We eventually fitted an old model Weaver 2.5x7, which only just cleared the bolt handle at the rear. This may have been an isolated case, as these sights usually come off using a brass drift to shift them. "Accurate and light," said one reviewer. Another felt it would make an excellent 'carry around' rifle. It certainly shot well off the bench using a 6x scope and showed a distinct preference for the Winchester Power Point ammo. Unusual features for this rifle include a micro-groove barrel and a seven-shot magazine. A very comprehensive owner's manual is included with this unit. One reviewer remarked that he wouldn't mind having this rifle in his gun safe at home. All three reviewers liked it and eventually agreed that this rifle gave the best value for money - all things considered. This rifle uses the same action as the sporter version, but the stock is a heavy wooden target type with a wide fore-end. The barrel is a heavy target type with no sights fitted. All reviewers liked this rifle and it performed flawlessly throughout the test. Some quite remarkable groups were shot and this rifle would not be too far off the pace in the custom class benchrest matches now shot. Interestingly enough, some of the over-the-counter ammo shot nearly as well as the outright match grade rounds that we had brought along for comparison. This is a very classy rifle, with a price to match. Sako has a reputation for quality and we could not fault the workmanship on this example. The hand-cut chequering on the stock is flawless. This rifle really performed with the CCI Standard Velocity and shot numerous groups less than half an inch at 50 metres. With a bit of fiddling to the bedding and some 'match' ammo, this rifle would be right at home in a field rifle competition. Two of the reviewers already own the 541-S model and were keen to see how this one would perform. As expected, the bolt was very stiff to use, as the Remington multiple lug system takes a while to run in. The bolt is difficult to extract and replace and requires a bit of patience. Also, the cheap looking plastic magazine seemed out of place on a quality rifle such as this. The trigger was particularly heavy, but we know that this can be adjusted down to a more manageable weight. The rifle shot well and produced good groups with most brands of ammo. Power Point and CCI produced a couple of very good groups. Unfortunately the 541-T rifle is now out of production and you will have to be relatively quick to find them in stock at gun stores or on the secondhand market. These firearms were reviewed by the Australian Shooter Magazine. If it is quality and accuracy you are after then you can't go past an Anschutz or a Walther. Depending on which model you get, they are both extremely accurate and have very nice triggers. The weight of a trigger can be adjusted and it is recommended that you start with a heavier trigger until you get into the swing of things. The Anschutz Biathlon is at the top of the list, it is a repeater (has a 5 shot magazine) which is required in Field Rifle & 3 Positional shooting, a two stage match trigger (A normal single-stage trigger has the same tension throughout the pull to release. A two-stage trigger has two defined stages that are often adjustable. It's not like a set trigger, but think of it as a trigger that you can take up the slack very easily before that final stage where the shot is released), very smooth action and extremely comfortable to shoot. The Anschutz Match 54 is the next one down at a cost of about $3000 second hand this is the same as the Biathlon, however, comes mainly as a single shot (no magazine fitted). You can get magazines fitted to these firearms and sometimes you can buy them already fitted. These two firearms are of the highest quality and will not give you any trouble. The Anschutz Match 64 is a well priced competition firearm with a two stage match trigger, smooth action and is also comfortable to shoot. This firearm seems to be the more popular competition rifle, its quality isn't as good as the 54 action and this is seen in the price difference of the two but is still of a high quality compared to other firearms. The 64 comes as a single shot rifle so make sure when purchasing you mention that you need the 64 MPR (Multi Purpose Rifle), this model comes with a magazine. You will be looking at about $1500 to purchase this rifle brand new. Walther also make good quality firearms with some models equal to somewhere between the 54 and 64 Anschutz making these firearms also a popular addition to the club. Walther also make precision rifles with costs equal to the Anschutz Biathlon at about $4000 new, you will need to modify it heavily though to get it underweight for SSAA competition. CZ formerly known as Brno make very good rifles for those just starting and some of those that have started with a CZ or Brno have continued to use them and even break club records with them. CZ's are still made at the original factory in the Czech Republic city of Brno. They do have a nice trigger and action and can be modified to fit better triggers and barrels, definitely not one to be looked over. They are reasonably priced and accurate. I'm sure with the information here you will be able to find a rifle that suits you. The next thing you will need is a scope. For SSAA competition a 24 power (Magnification level) scope is the most common, you can get away with an 18 power or go higher to a 32 power. Most hunters will use a 6 power scope but what you have to remember is that this is precision competition shooting and you're going to want at least an 18 power scope, if you're not used to a high magnification you can always dial it down to a lower one but remember if you want a higher magnification your scope needs to be able to support it. Tasco are a common good quality scope as long as you get the Japanese made ones and not the Chinese made. They are usually a 6-24x40 scope which means the magnification level can be a adjusted from a minimum of 6 power to a maximum of 24 power with a 40mm tube, just remember to check the weight because you are only allowed 4kg for Rimfire and 5kg for Centrefire which includes scope, rifle (including bolt), magazine and two sling studs. The sling is not included in your maximum weight. These scopes sell for about $250 which is very reasonable for descent scope. Bushnell are a step up in scopes and also in price with the equivalent costing about $100 more.